Curs and Feists will compete separately in the hunts and shows. 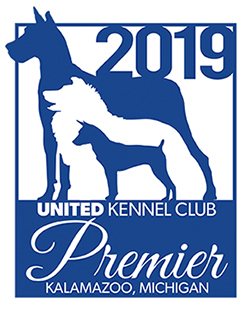 Overall winning dogs will receive the designated UKC WORLD CHAMPION degree. Four (4) World Champions will be crowned! Dogs must be UKC registered to compete in the World Championship. Single Registration may be completed on the grounds on the day of the event. Single Registration fee is $25. All casts hunt for 90 minutes in every round. All dogs, regardless of category or degree, are drawn out together. Hunt and show entries accepted from 3 p.m. to 6 p.m., on Friday. Single Registration is also available during this time. Hunt entries close at 6:30 a.m., Saturday morning. Entry fee: $35. Show entries close at 12:00 p.m. (noon) on Saturday. Entry fee: $20. From I-75, take exit 29. Take 770 West for 1.5 miles to 312. Turn left. Continue to 56 Civic Center Drive, Corbin KY 40701-3105.